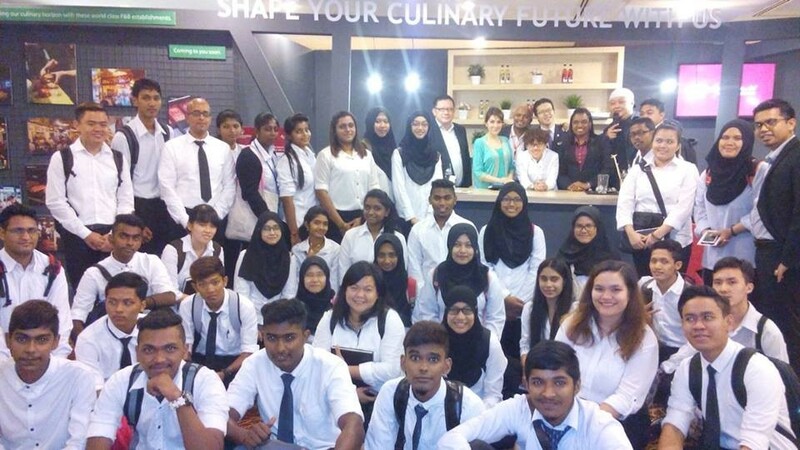 Greencity International College is one of the leading private green college in Malaysia, was founded in 2005 under the Private University Act with a vision to create a global higher education center of excellence. Greencity International College offers students from all walks of life the advantages of an affordable, personalized education of global standard. There are a handful of gangs that continue to cause havoc by terrorising the local community. Time: 12.00 p.m. -1.30 p.m.
Gangs violence includes bullying include not only physical assault but mental torment as well. Gangsterism also affects the community by encouraging threatening unlawful behaviour. It is imperative that the younger generations have good role models that pave the right direction. Gang violence is a critical social and economic issue and it extracts a high toll on the general public. Using fear factor to their advantage, gangs often recruit young people. Thus, it is not a surprise to see young boys, who are always reminded to be a “real man”, joining gangs and behaving violently in the face of danger. According to Home Minister Datuk Seri Ahmad Zahid, The number of students involved in violent crimes and gangsterism in the country are on the rise. As such he has urged all parties, including schools and the community to jointly address the problem. Zahid said according to statistics, the number of students involved in violent crimes had risen as much as 47 percent, from 368 students in 2012 to 542 in 2013. In collaboration with the Malaysian Royal Police in Bukit Aman, speaker ASP Ooi Chong Lai (Unit Kongsi Gelap) has come to KAGC to speak on the rising issue of gangsterism in Malaysia. The awareness talk was held in a classroom here on Wednesday and was attended by dozens of students and lecturers. During the presentation ASP Ooi Chong Lai introduced the subject of gangsterism with a compelling video on the history of gangsterism in Malaysia before speaking on the types of cases that have been reported. He shed light on the unlawful activities that are common among gangsters such as burglary, drug dealing, collecting protection money, extortion, and murder among other crimes, as well as informing on the different gangs in Malaysia. Knowing certain gang’s modus operandi is significantly important in nabbing the criminals. Being aware of an offender’s modus operandi (MO) helps the investigator to lead them to predict future offending patterns which enables preventive measures. This also helps catch offenders because it identifies likely routes, markets and those involved. Most importantly, ASP Ooi Chong Lai also discussed methods of prevention. This includes being aware of your surroundings and the procedures on making reports on suspicious activity. He also stresses that young minds like our students here at Greencity International College should focus on education and to stay away from gangsters. During the Q&A session, students also paid high interest by asking questions such as different measures used to guard the community and about recent cases. It is important to increase the awareness of gang activity, as well as to acquire the assistance of the community members – such as parents and police – in eradicating gangs. Communication and cooperation between public institutions and the police department is crucial to maintain safety and stability in Malaysia. We are thankful to have ASP Ooi Chong Lai come to KAGC and inform us on gangsterism. Tucked away in the foothills of Selangor, lies Mantin. A quiet town surrounded by lush greenery, things move a little slower in this small community. Originally named Setol, the town was affectionately nicknamed Mine Tin due to its abundance in mine by the Europeans. Locals mispronunciation then evolved its name to Mantin. We arrived just an hours away from Kuala Lumpur and sat at the bottom of the hill was a chicken rice stall and mamak. As we made our way up, past a sugarcane field and dogs playfully barking at us we arrived at Charis Home. Upon arrival we felt the atmosphere as we were greeted with a warm smile by Esther and senior citizens waving as they were about to indulge in breakfast. About a dozen men and women live in this community home taken care by Esther and Pastora. Children are giggling and can be seen circled around the blue-tiled well, one of the girls is playing hand games with a man sat in his wheelchair. One can just have a glimpse of this humble home to feel the love and warmth it has. On this excursion, we brought a team from Eco Club & Greencity International College as well as a few students to treat Charis home to a meal and show to make garbage enzymes as easy to make enzyme with multiple uses. Garbage enzymes are made simply with brown sugar, water and organic waste. Once fermented for a few months it can be used for multiple things such as cleaning, driving away insects and washing veggies! The kids crowded at the show table with eager eyes ready to get some hands on action to learn fully how garbage enzymes work. Shaking the bottles with full force, some even with two bottles in their hands! We got to meet with Sally who told us about her aspirations of being a surgeon when she got older. A vibrant girl, she spoke about her love for cats and helping people. Her friend, a timid boy spoke about his dream of being a police and to catch bad guys. Esther’s encouragement for the children is heartfelt and this aura continues in the home. Cooperating with Fleming. Events we were able to donate food, books, and other items to help with this home that continues to do good for themselves and the community. We would like to thank Fleming. Events, Charis Home and all of those who have helped to make this visit a success! Time: 7.00 a.m.- 1.00 p.m.
Bukit Bintang is full of hustle and bustle; people flock daily for glorious food, shopping and sights in the city center. Unfortunately, with crowds often come litter. It is not uncommon to see rubbish like old tapau containers, plastic bags and cigarette buds strewn on the pavement. 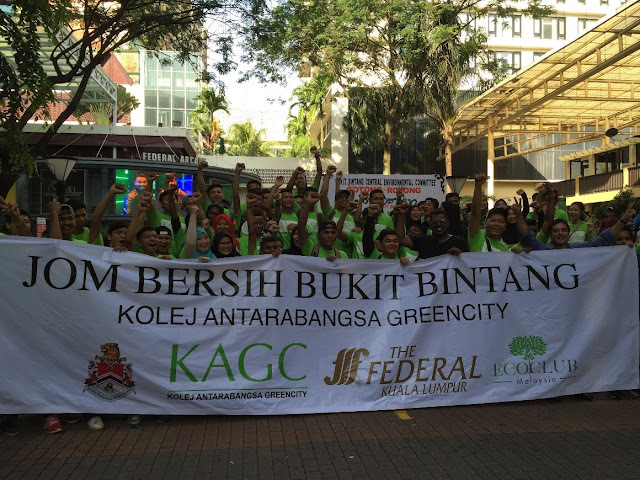 KAGC organized a BUKIT BINTANG CENTRAL GOTONG ROYONG 2016“JOM BERSIH BUKIT BINTANG 10” in efforts to clean up our beautiful city. 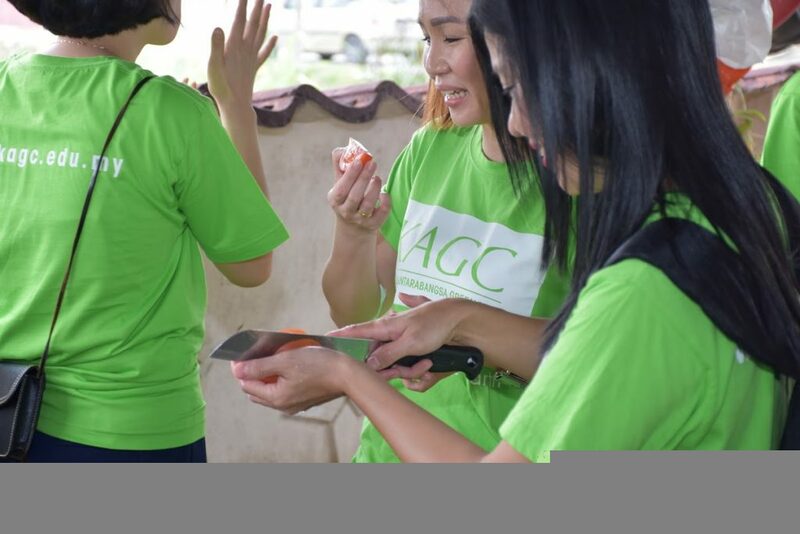 Gotong royong is cooperation among many people to attain a shared goal, and here many KAGC students, lectureres and staff had one goal in mind: To Clean Up Bukit Bintang. Mr. Mark and Mr. Winston were there first to set up the tables and get ready for our students to arrive at the Venue. Later joined in by En. Firdaus, Ms Asyikin, Mr Cardoza, Ms Rose and Ms Artefeh, Mr. Marcus, Ms Penny and other staff. We set up our stall for the Fruit Garbage Enzim Project counter and the decorative bottles counter.Our students and lecturer Ms Kavitha, Ms Ummi and Ms Rehana gathered at the front of the Campus and then left the Campus by Van and Bus while some of the students and lecturers went to Plaza Low Yat directly. There were about 100 members of the KAGC steam which included students, lectureres marketing and admission staff as well.The number of students and lecturers, marketing and admission staff were about 100.Our students and lecturers registered at Plaza Low Yat Boulevard and a complimentary Buffet Breakfast was provided by Melia Hotel, Royal Bintang Hotel and Capitol Hotel o Our students enjoyed the Buffet Breakfast. All our KAGC Cakes were snapped up. Participants of this Gotong Royong are divided into different colour groups. Every participant is entitled to a goodies bag and lucky draw. All participants were to assemble in front of stage behind their respective Team Leaders according to the assigned colours for briefing by MC’s. Meanwhile the representatives from the participating organizations greeted and welcomed the guest of honour, Datuk Bandar Kuala Lumpur. 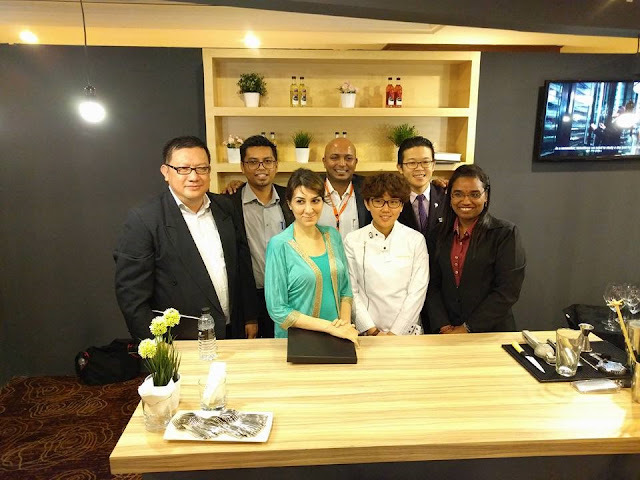 The clean up Welcome Address was done by Organizing Chairman of BBCEC, Mr. Simon Leong, General Manager of the Federal Hotel Kuala Lumpur. 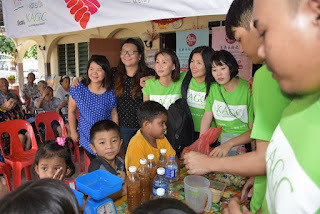 Speech by Guest of Honour – Datuk Bandar Kuala Lumpur was also done during our handing out of Certificates, Certificate to Organizations and Committees with Organization o Zumba Our students participated in the cleaning of Bukit Bintang Areas.4 Workshops and activities for school children. We shared the beauty and origin of decorative bottles with the student and we distributed the decorative bottles to the students as souvenirs. Our group photo were taken by press reporters. 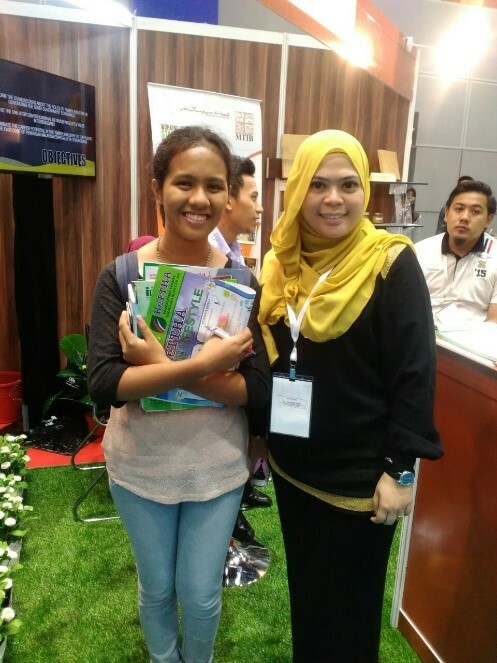 One of our students was interviewed by BERNAMA reporter. Two professors were so amazed by the Fruit Garbage Enzim and interested to visit our College for further discussion and information. Our decorative bottles counters were overwhelmed with people who find the decorative bottles fascinating. This year lucky draws were fabulous with laptop, smartphones, electrical appliances and hotel stays. Our BUKIT BINTANG CENTRAL GOTONG ROYONG 2016“JOM BERSIH BUKIT BINTANG 10” was ultimately a success which we look forward to having again. 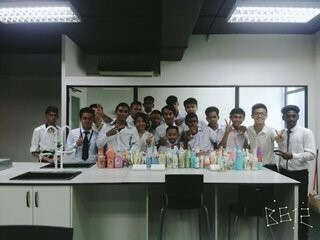 School of Green Science and Engineering of KAGC was conducted an activity on Garbage Enzyme (GE) Production for all green students on 05th April 2015 at KAGC Chemical Laboratory. The event was held as the part of the activity for Waste Management Course. The entire green students were actively participated and learned to created useful products from garbage. It is also said that during the fermentation of Garbage Enzyme, ozone gas is released and in turn helps to slow down Global Warming and at the same time help to heal the environment. 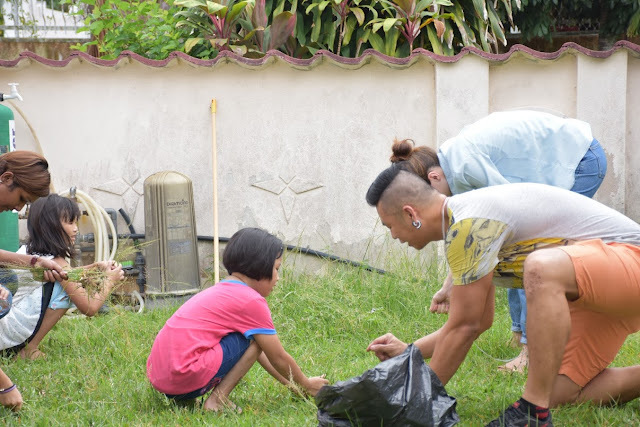 Targeting Youth, this activity empowers young adults to think outside the box in solving environmental issues such as sustainable waste management. 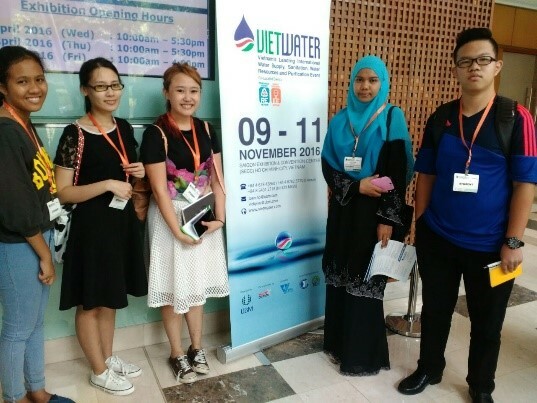 Asiawater 2016 ActivityThe ASIAWATER Convention is the region’s largest waste and water event organized by UBM. Time: 2.00 p.m. – 5.00 p.m. 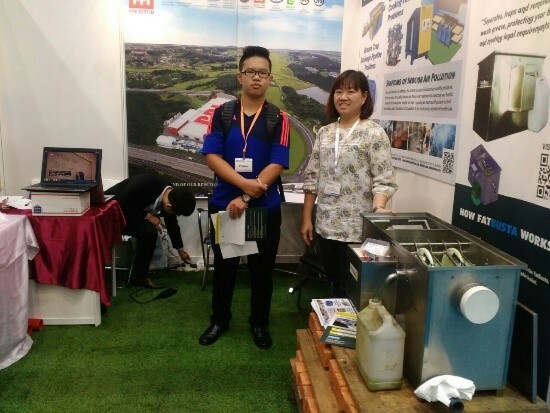 The ASIAWATER Convention is the region’s largest waste and water event organized by UBM. 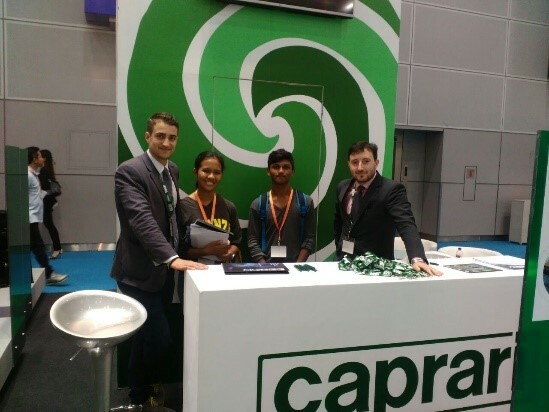 The exhibition gathers thousands of industry professionals across Asia. With over 700 exhibitors catering to 14,000 , this biennial event showcases the latest innovations and products that ensure positive development and recognition for the thriving industry. 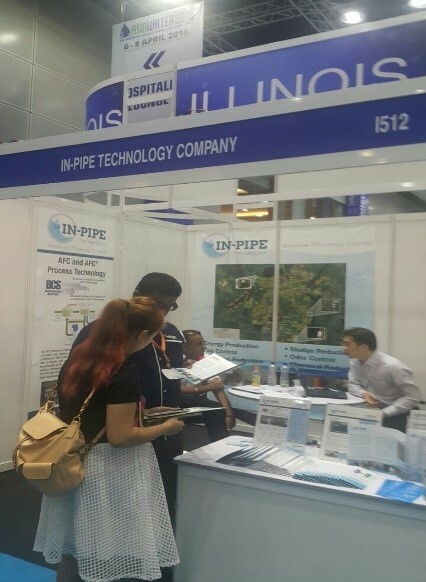 The ninth edition of the ASIAWATER Expo & Forum took place in The Kuala Lumpur Convention Center. Widely recognised as the Region’s Leading Water Industry event, over 14,000 industry buyers and decision makers will present new products and get updated on the latest trends in the industry as they build business partnerships at this unique event. ASIAWATER 2016 an outstanding opportunity for players to increase their brand exposure and develop business potential as they capitalize on special networking opportunities.This is the primary, high value-added event to strongly support the development and sustainability in the water and wastewater industries especially for the Southeast Asian market. Owned by UBM plc and listed on the London Stock Exchange, UBM Asia is Asia’s leading exhibition organiser and the biggest commercial organiser in mainland China, India and Malaysia. 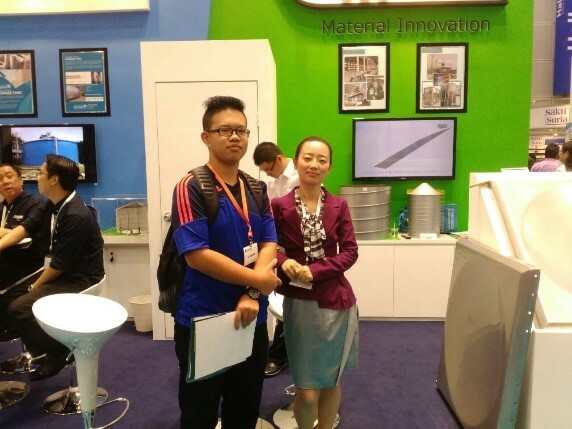 Needless to say, the ASIAWATER convention is a brilliant opportunity for our students to see key players in the industry take part in a conference where ideas and innovations are flowing. 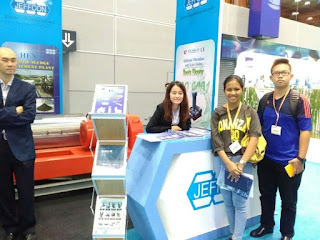 We brought along a few KAGC students from our Diploma of Green Technology Management course for our educational field trip to broaden their horizons by having a glimpse of the industry. The DGTM students introduces existing approaches in incorporating environmental consideration in business with a specific focus on identifying and managing trade-ofs between environmental technology and contemporary practices. Lecturer, Ms. Nurul Izzati Binti Mat Akhir, encourages our students to immerse themselves in the industry to enhance their education through a hands on approach. 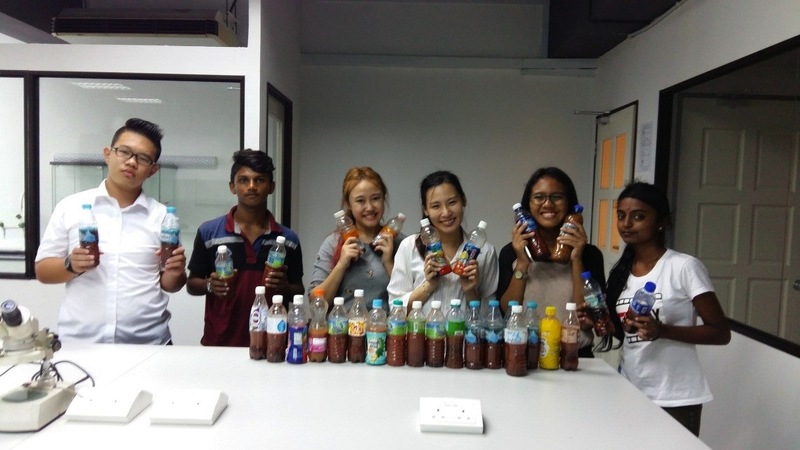 Our students were tasked with finding the green qualities of the companies and products featured in the ASIAWATER exhibition. 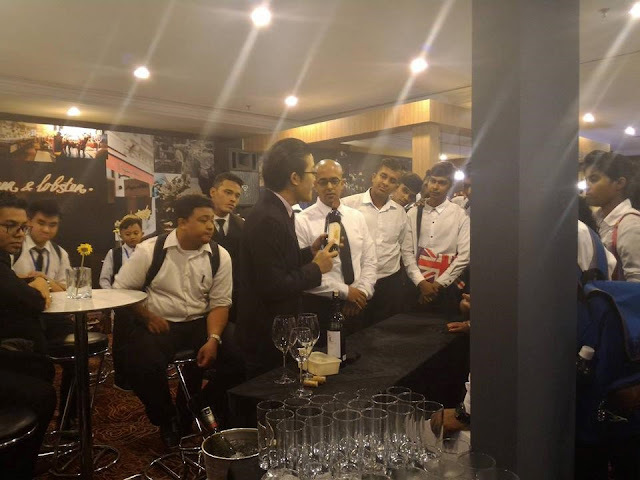 The eager students displayed strong communication skills as they dove into the booths absorbing information from those with hands on experience in the industry. They were also able to explore techniques and innovations on wastewater treatment and management, a subject that will be taught later on in the diploma course. A diverse group of representatives from KAGC were welcomed to the Energy Commissions headquarters in PutraJaya on Tuesday morning. The Diamond Building, located in Precint 2, has been a remarkable effort in sustainable building as its philosophical and practical values are use in order to conceptualise an iconic eco office building. Students from Green Building and Green Technology Management in KAGC were accompanied by their lecturers to bring their classrooms to the real world and experience green technology and building in their own eyes. Lecturers and students from Greencity International College were greeted by representatives the Energy Commissions in the lobby of the Diamond Building, where the morning sunlight was peeking into through the ‘diamond dome’ skylight. The Greencity International College representatives were taken on an observational tour of their eco building where we were shown how Green Technology is practical, beautiful and most importantly sustainable for our Planet Earth. The details in the green architecture of the Diamond Building can be seen by how much natural sunlight brightens up the building. In fact, The Diamond Building is designed to obtain 50% of its daylight needs from natural lightning. The dome skylight is amongst many natural lighting venues in the building that showcase a laminated tempered glass that can filter and diffuse the daylight to provide glare-free daylight for the office during the day. Energy efficient lighting are also used throughout the building instead of the standard fluorescent tubes. No detail goes unnoticed in the Energy Commissions HQ in order to help Mother Nature in being an eco-friendly building. 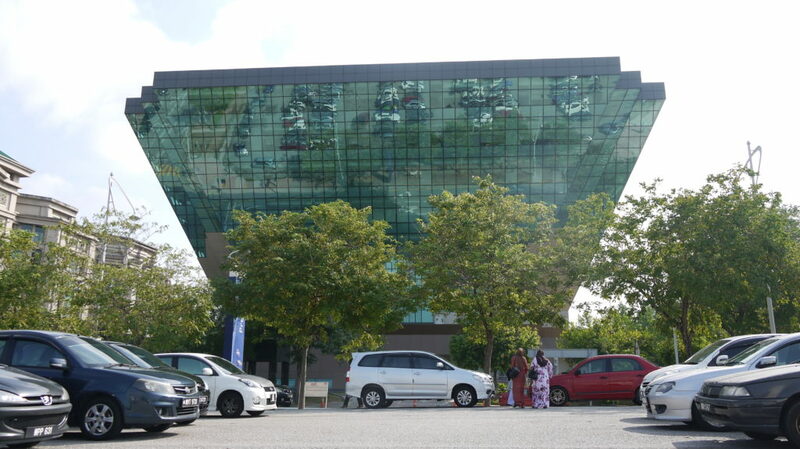 The Diamond Building uses natural resources such as rainwater which is harvested for toilet flushing. This along with the manner of plumbing used reduces the water usage by 65%. Consideration is also taken to other factors that have benefits to the environment. Everything to the interior paint, to the carpeting is used with sustainable materials with a low VOC (volatile organic compound) emission. The precise and thoughtful building designed by NR Architect of Kuala Lumpur has won the top prize in the ASEAN Energy Awards (AEA) for its energy-efficient structure that consumes one third of the amount of energy of a standard building its size. Also earning platinum ratings in Malaysia Green Building Index and Singapore’s Green Mark program this building does not go unnoticed by the public. The excursion to HQ has given both students and lecturers alike at Greencity International College a refreshing glimpse at how what they are learning and pursuing can result in an eco-friendly and masterful work of architecture. Time: 10.00 a.m. – 2.00 p.m. In pursuant to a forum and dialogue between the Minister of the Ministry of Energy, Green Technology and Water and Kolej Antarabangsa Greencity on 18th October 2015, concerning the response from our Malaysian community towards the Green Technology, held at Langkawi International Smart Green City (LINTAS) Forum 2015. 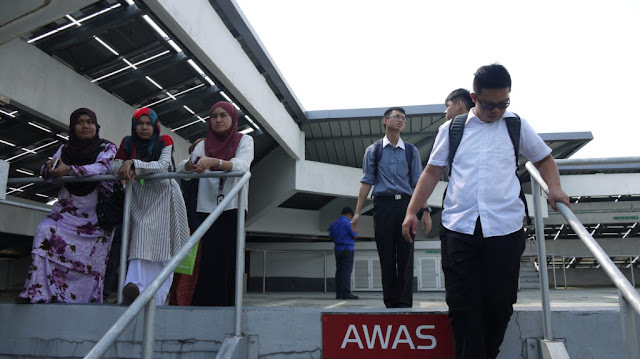 It is understood that generally, the efforts and steps taken by our Malaysian Government to promote awareness on the importance of green technology in our daily life has never succeeded. This recycling station is meant to be transit center for recycling activities. Recycling materials gathered by student are categorized based in the material type. Student will be given gift as token of appreciation and as motivation for them to be pro-active in recycling. This materials will be sent and sold to recycling center. The income from the materials will be made as funds for school activities. Theoretically, bicycles in motion could produce electricity. The faster the bicycles moves, the more electricity is produced. When the bicycles is on the move, the kinetic energy from the pedals is transformed into electricity and will be stored in the battery. Apart from producing energy, cycling can also encourage sports among students. Unpredictable weather conditions have been the main factor for the development of the green house which acts as shield for vulnerable plants. By applying this technique it can act as a nursery. The rabbit has been chosen as the animal used for the production of fertilizer due to its fast multiplication and waste produced by rabbits is odorless. Besides contributing to the production of fertilizer, rabbits are widely known as tame animal and they can create a good Eco-system for the school environment. ‘Takakura’ method is the solution to the problem of kitchen waste because this waste can be recycled into making compost fertilizer. Compost fertilizer is formed from the growth of maggots in soil. The waste is gathered and planted layer by layer in the soil. This waste functions as food for the maggots and the waste produced by the maggots can yield high quality fertilizer. Aquaphonic is an evolution from hydroponic. Aquaphonic is widely used in cities in order to solve the issue of land mass. Aquaphonic is a continuous operation mechanism with the method where water is pumped from a fish pond which subsequently reaches the plant. The waste produced by fish in the water pond acts a nutritional fertilizer to boost the growth of the plants. The water travels back to the fish pond after the fertilizer has been absorbed by the plants. The concept of vertical garden utilized the idea of planting in used bottles. The bottles are suspended vertically to optimize space. The vertical garden is an initiative to the problem of space for agriculture. However, the types of plants compatible with this method are limited to the plant sizes. The concept of vertical garden is suitable for decoration and as a cooling effect for building. The students of Sekolah Kebangsaan Cheras Jaya be educate on the basic process in accumulating recyclable materials up to its usages and developing recyclable materials based projects. The objective of projects as such the above is as a stepping stone for Malaysian community, with a goal that Malaysian community have a better insight on the Green Technology in the next five (5) years, as the current primary school students will eventually step into secondary schools. This exhibition is important for students to gain more information regarding the green building because ECOBUID SEA is the leading exhibition for Southeast Asia construction. ICW & Ecobuild SEA is the leading exhibition and conference for construction, design and energy in the built environment, attracting 12, 073 high calibre, senior level decision makers and influencers from architects, contractors, engineers and developers, to local government and major infrastructure clients. This year Ecobuild SEA has a comprehensive showcase of Sustainable construction products and solutions. 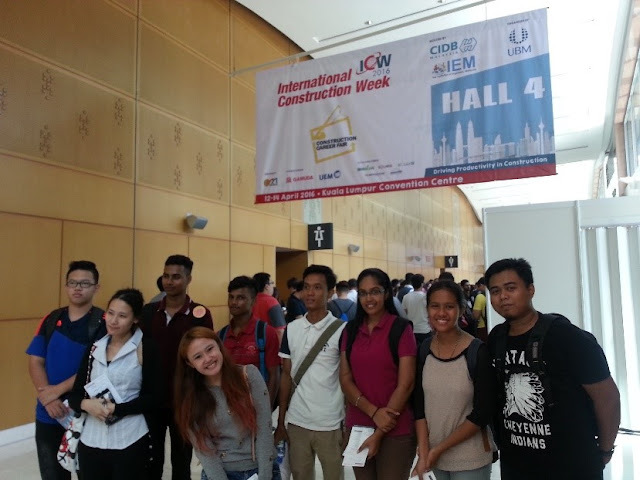 Themed “ Driving Productivity in Construction” Hosted by the Construction Industry Development Board (CIDB) Malaysia and held in conjunction with International Construction Week (ICW) 2016. Ecobuild SEA featured unrivalled conferences and technical seminars involving industry experts, innovators and practitioners. It connects the entire built environment supply chain, helping them to play their part on realising the vision of cleaner, greener and more efficient buildings. It continues to be the meeting place for everyone interested in delivering a sustainable built environment and a better world for us all. Ecobuild SEA not only does exhibitions, but talks as well. Mr. Hong Kah Wai from Bubble Deck Constructions presented on how Bubble Deck is the Future of Green Construction Technology. BubbleDeck System is a revolutionary construction method by eliminating concrete from the neutral axis of a floor slab that is structurally not performing, as a result dramatically reducing dead weight. Incorporation of recycled plastic bubbles as void formers allows wider space between columns. Combination of this with a flat slab construction approach spanning in two directions – the slab is connected directly to insitu concrete columns without any beams – produces a wide range of cost and construction benefits. This is just one of the hundreds of examples of green technology and innovation that was presented! There is a whole world of green technology for all of us to explore. 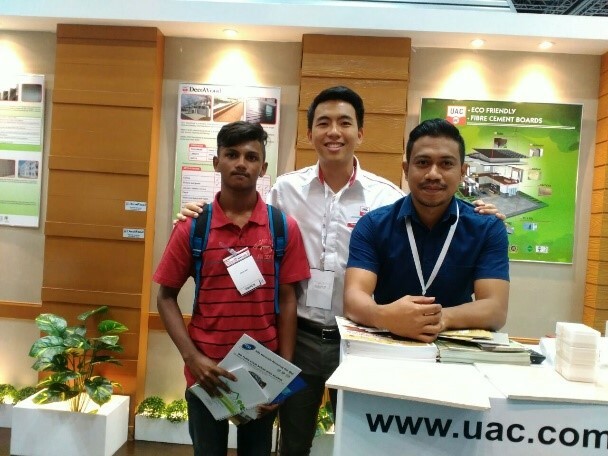 Ecobuild SEA 2016 was a gracious opportunity for our KAGC students to be able to interact with those in the industry and learn more about green technology. Students from the Diploma in Green Building and Diploma in Green Technology Management were involved in the trip and were chaperoned by lecturers Mrs Nurul Izzati Binti Mat Akhir, Ms Asyikin Bt Suratman and Ms Jivitra Balu. Students studying for the Diploma in Green Building are often have to face the strong critical thinking and know the disciplines of green building. This includes knowing how to cater to the lucrative market demands from the perspective of architecture and engineering. Those in Diploma in Green Technology Management also have to incorporate environmental consideration into business management. An important factor is to be able to formulate strategic solutions in addressing sustainability issues when it comes to urban planning. It is important in DGTM students to be able to understand the functions of science and technology in an organizational role. Tasked with finding the green technology in all the companies exhibited in the conference, the students displayed excellent communication skills as they interacted with the industry professionals. Besides exploring for different innovations and ideas, students also scoped out which industry they want to get involved in for their internship in the final year. The EcoBuild SEA experience helps our students understand the elements that goes into green planning and being an energy efficient builder. 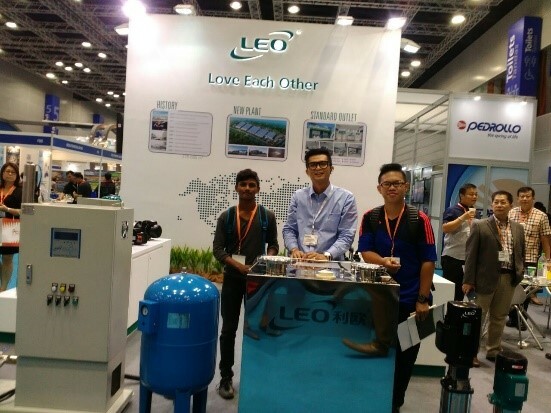 With over 700 exhibitors showcasing their newest products and innovations, this as an extremely informative and interesting trip for the students and lecturers alike. 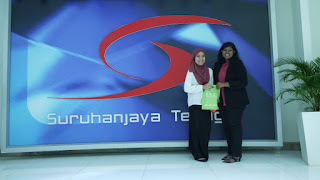 Genting Career Open Day Kolej Antarabangsa Greencity. On the 6th of April 2016, Resort World Genting organizes Career Open Day in JW Marriott Kuala Lumpur to promote their resort which currently expanding and transforming itself into a new era of entertainment through the Genting Integrated Resort transformation Plan. In conjunction with this, many colleges participated including Kolej Antarabangsa Greencity. It as a full day program where a number of participants from different come for this event. 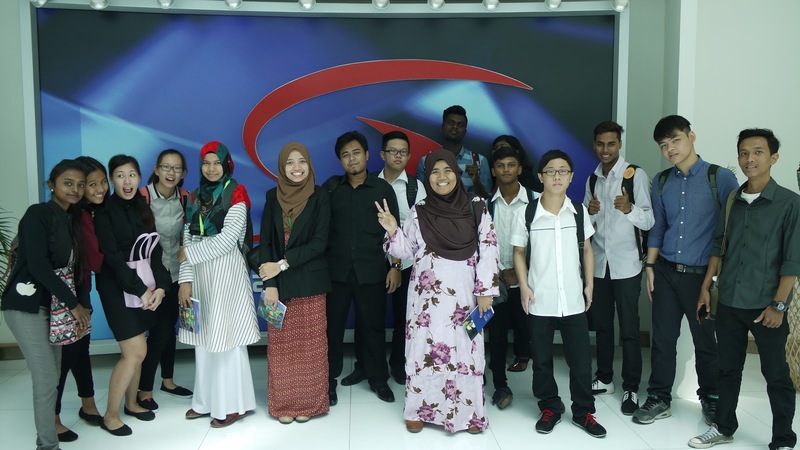 The participants from Kolej Antarabangsa Greencity included 4 staffs and 60 students (Diploma in Hospitality and Tourism Management and SKM) who met in the morning of that day in lobby of the college for registration. The purpose of this event is in line the opening of SKY Avenue, they are looking for the talent to be part of their organization. They organize this event mainly to target graduated students or final year students from Diploma in Hospitality, Diploma in Culinary or Diploma in Business Administrative to meet with their Award Winning Chef, Sommelier and Mixologist. 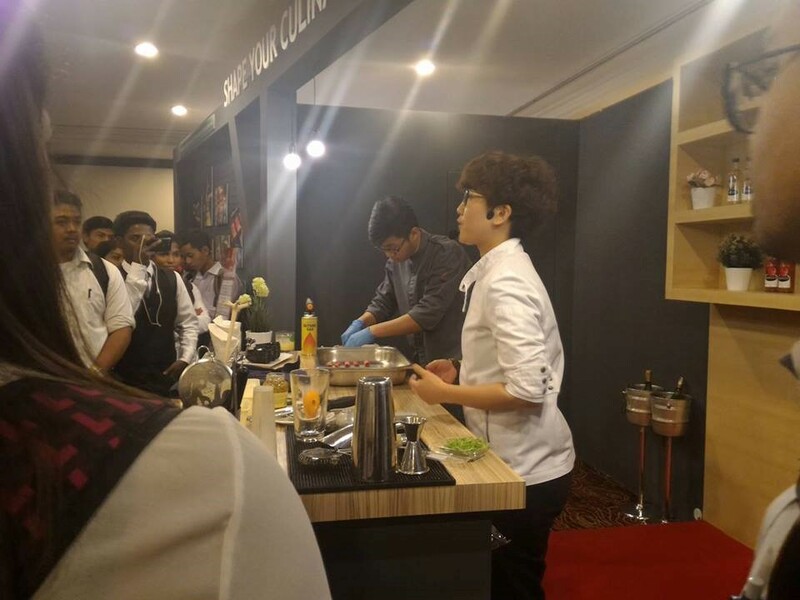 During the event, our students get a chance to witness their Award Winning Chef preparing dishes and our students also participate to help their chef to prepare the dishes. Their Sommelier and Mixologist show their skill to our students. Our students are very excited and enjoy learning new things. 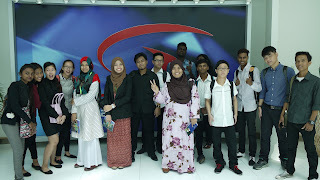 Their also share their valuable experience and SKY Avenue future development with students. There also had interview section where students who are interested to join them, can fill up the application form and attended the interview which conduct at the event by their Human Resource specialist. At the end of the activity which was around 4.00pm. I would like to take this opportunity to thank all the students and lectures who participated in this event. Hopefully this event gives lot of benefits and new experience for the students and the lectures. Foster a culture of teamwork and enhancing the sustainability of mental as well as physical.